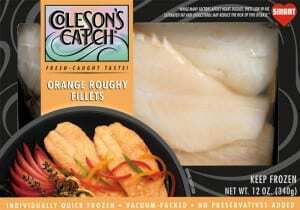 Orange Roughy Fillets | Coleson Foods, Inc. Described as the, “King of the Abyss”, Orange Roughy was unknown until 1975 when a research vessel explored the deep dark waters 2000′ below the surface of the New Zealand coast. It was this remarkable discovery that led to the new preferred whitefish’s popularity. 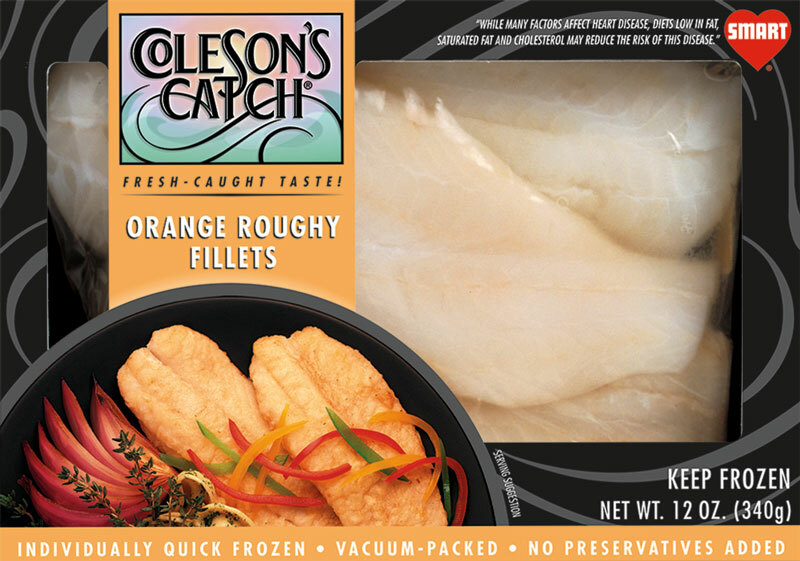 Orange Roughy’s name is derived from its vivid reddish-orange body, despite the prepared fillet’s pure, frosty white quality when cooked. The lean, white meat is succulently tender and delicate when prepared. Suitable for all your whitefish recipes, the “King of the Abyss” will become a tasty “King of your table”.